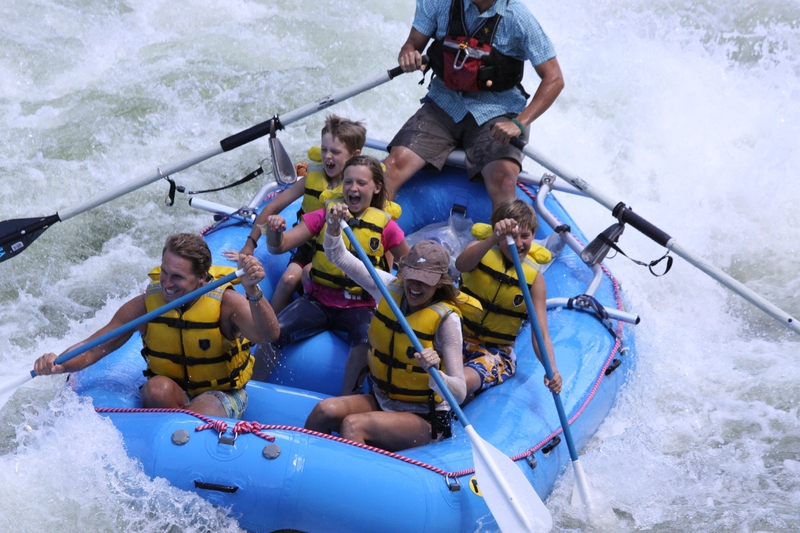 Coeur d’Alene Adventures offers 6 river trips and rafting trips in the Coeur d’Alene area. Our line up of Coeur d’Alene rafting trips can suit your needs for taking in the scenery, excitement and adventure. 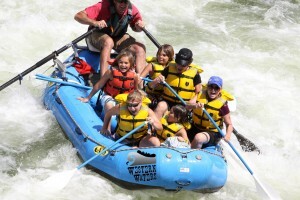 We have offered beginner, intermediate, and well conditioned rafting adventures and scenic rafting trips since 1976. Come experience a day on the river and soak in the scenery with some splashes while hearing some local folk lure of this great area with some of the best guides around. 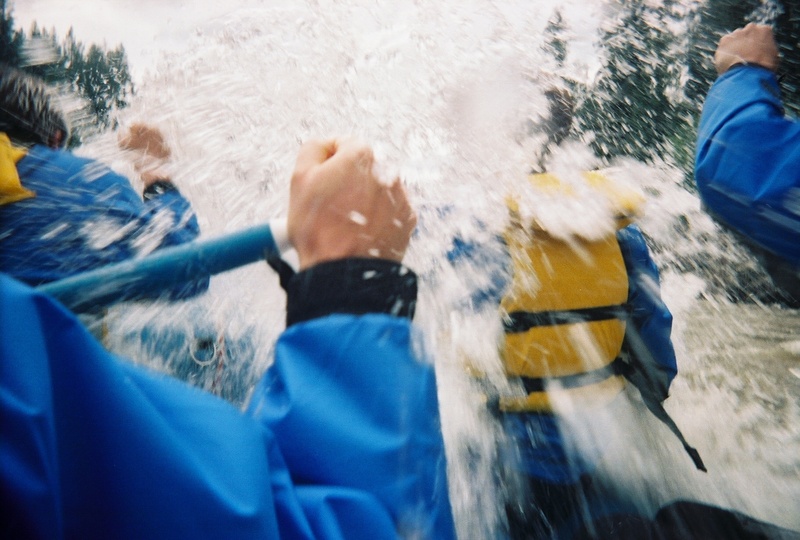 We currently offer 6 different half-day and full-day rafting trips. Our FULL DAY TRIPS get a lunch!!! View the menu. Our customers frequently say that the famed Alberton Gorge trip is the most exciting day they have ever had on a fishing/rafting trip. Most of the bigger fish in the river hold up in the pools at the bottom of the rapids so you never know what you might catch. You will have to wear a high flotation vest most of the day, and all the gear gets put away for Triple Bridges, Tumbleweed, and Fang rapids but you can cast away on everything else! See More Details Here! 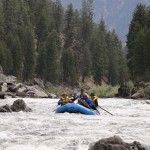 This 12 mile river trip provides 15 rapids and breath taking scenery down the Alberton Gorge on the Clark Fork River. The trip starts at 10AM and wraps up around 4PM depending on water flow levels. Home cooked lunch featuring fresh garden grown produce is provided. We stop at Fish Creek to rest on the beach. A great one day river adventure! See More Details Here! (3 hour drive, April-July 1) Helmets Required. The Lochsa is truly one of the best rivers in the world for adrenaline soaked adventure in the midst of amazing natural beauty. 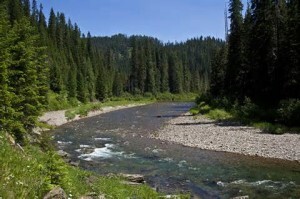 The Lochsa is a free-flowing, wild, and scenic river that bounces down a steep granite canyon. The river is surrounded by a lush forest and beds of dense moss. With close to 40 rapids in our 20-mile “day run”, many of them class IV, every trip down the river is an exciting challenge. All rafters must be at least 16 years old. (If you are driving over the border either direction there is a time change) Please call to book this trip. We offer this trip April – October weather permitting! This is a great way to spend half the day in the Coeur d’Alene/Spokane area. This is a nice river float down the Lower Coeur d’Alene River! Great for all ages and abilities! Nervous about younger children on the boats? This is your float trip! You get out on the water and in the wilderness without any stress. Picture a lazy river, warm breezes and a total release of all your cares! 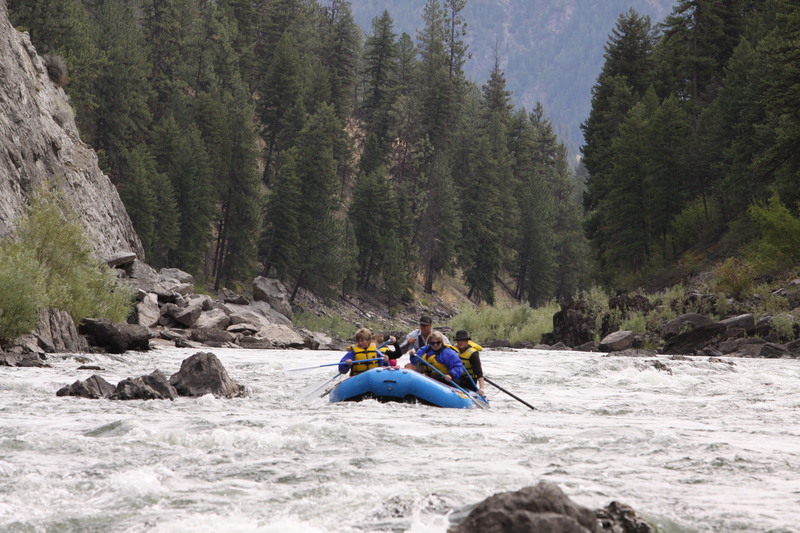 This is a great 3-4 hour trip on Coeur d’Alene River, depending on water flow. Guests view birds, moose, and has North Idaho written all over it. This is a peaceful section of river with gentle flows that run all summer long. Jump in to swim! Hang out on the beach for a bit. This is a crystal clear spring fed water that houses Cutthroat year round and Chinook Salmon in the fall. *Please understand that a 3 person minimum is required for reservation. Two person trips may join another couple/group or pay the extra seat to cover guide/gas/reservation. This is a great opportunity for everyone to enjoy the Clark Fork River for a few hours, especially families with small children or seniors. The Tarkio Canyon is a mild stretch of Montana’s largest river by volume, providing a relaxing float on a majestic beautiful river. Relax and kick back while soaking up the scenery. Your experienced, friendly guide will share the colorful heritage of our early settlements, mining claims, and the history of the river. Trip reservation times are 10am, 2pm, and 5pm. See More Details Here! We require a two week notice for a full refund cancellations. A 15% business charge will be deducted from deposit for cancellations under two weeks. No refunds for 48 hour cancellations. We reserve the right to cancel trips with full refund due to weather, water levels, or insufficient guests. Same day reservation/cancel is subject to 5% credit card fee withholding.